Genealogy of Christ from Joan Eppehimer on Vimeo. 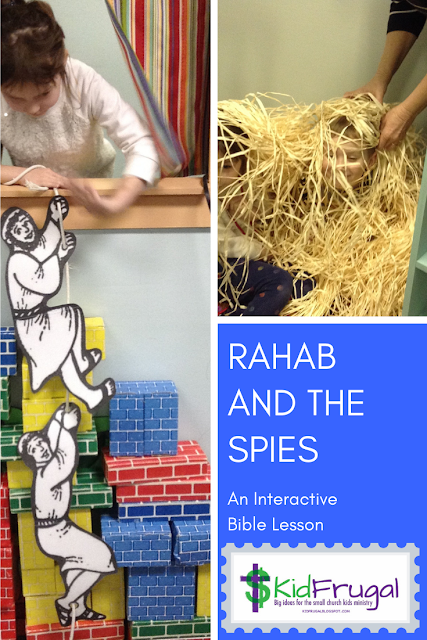 A few weeks ago we began the study of the New Testament in Sunday School. The first lesson called for the genealogy of Jesus in Matthew 1. "Now how am I going to engage the children with this?" I thought. The curriculum suggested drawing a stick figure for each name on a board OR using post-its with the names on them. I had a better idea - how about printing stick figures with the names on card stock and using a pocket chart. You can access the printed sheets here. I printed up the sheets of names, cut them apart and handed them out in class. Then the kids watched their cards carefully for the names as we read them. They were so excited when they had a name. They were amazed at Jesus/ great big family - and we only went back to Abraham. 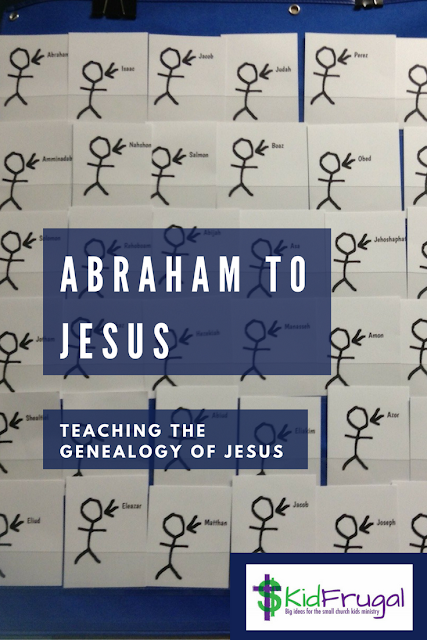 We were also able to discuss the fact that Joseph is not named as the father of Jesus in the genealogy - because he actually was not the physical father. How did we explain this to the kids? We just read them the scripture that says the Holy Spirit put the child in Mary, and that makes God the father. 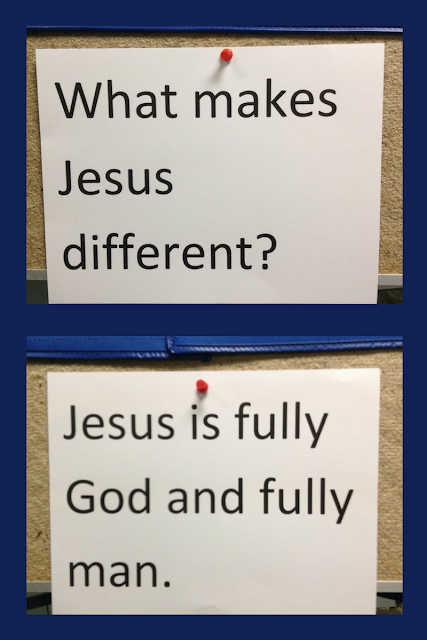 This led to our main point in this unit of study: Jesus is both fully God and fully man.